Sherlock Holmes and his faithful friend and colleague Dr. John Watson are on the road for the eighth time in London to solve some exciting cases. They not only look more youthful, but also the game elements have become more varied and provide a good deal of variety. 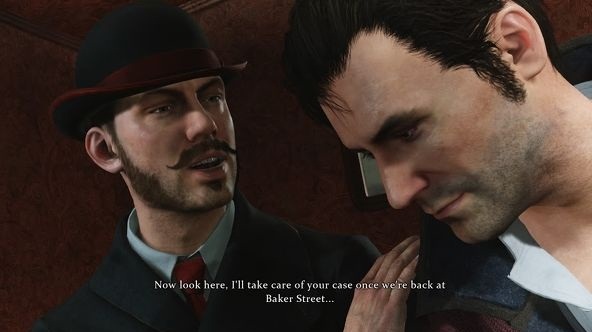 In our Beginner’s Guide to Sherlock Holmes: The Devil's Daughter, we show you the basic game mechanics and give you some useful tips and tricks to get you started. - Notebook: Here all the evidence, documents, character analysis, etc… appear to you. - Detective View: In this mode, Holmes also recognizes concealed evidence. Time is running out a little slower. - Visualization Talent: Holmes detects items or evidence that are no longer there. He introduces himself pictorially. - Change of Perspective: Playing in the third or first person. - Change character: In some situations, you can switch between different helpers. In some scenes you play even the Toby. - Look the key assignment at the beginning. In the menu under HOW TO PLAY you learn the game controls. - In Notebook you find important documents necessary for your detective work. Here you will find tasks, evidence etc. - Here you will also find conversations that you have brought. - The fast travel is very easy: Just click on the map in the notebook and click on a site. Your office is in the Baker Street. - You can always find the main task (at the top) and including small side quests that lead you to the great goal. - If you have completed the character analysis inaccurately, then you cannot repeat again. So choose wisely between the characteristics of a person. So you can be denied even some conversations. - Always keep your hand on the keyboard or on the controller. In some interviews you must quickly press a button to select a proof, which is contrary to the person and to elicit more information. - With Sherlock go through a crime scene. Yellow circles mean that you can investigate something here. If the circle is not yet turned green, then you can analyze even more. If instead an exclamation surfaced, you can use this subject again. In the first case, for example it is a candle that you need to see in the attic. - Respect often on the upper, right corner. Here symbols appear to help you when you can use the mode.